The survivors continue to search for Sophia, but Hershel is growing increasingly concerned about their presence on his land for unclear reasons. Shane and Rick argue over whether to continue the search, with Shane arguing that it's time to cut their losses and leave. Rick is angry with him but later begins to wonder whether he is right. While out searching for Sophia, Daryl finds her doll but subsequently falls off a ridge, and is badly injured. A vision of his brother Merle gives him the strength to fight off two approaching walkers and return to the farm. As he approaches the farm limping, he is mistaken for a walker and is shot and wounded by Andrea, who was told not to use the rifle. Maggie passes a note to Glenn asking to meet for a sexual encounter. 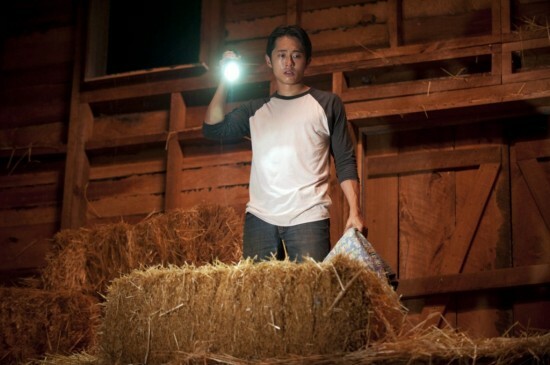 Glenn passes it back, saying to meet in the barn. A horrified Maggie attempts to stop him, but she is unable to prevent him from discovering that the barn is full of captured walkers.